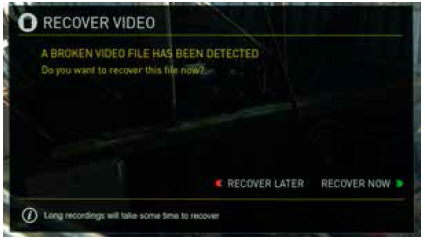 Atomos has built in file recovery to compensate for scenarios where recordings are inadvertently interrupted e.g. the media drops frames or the HDMI cable is removed. In this case the Atomos device will automatically start a new recording once the drive recovers. 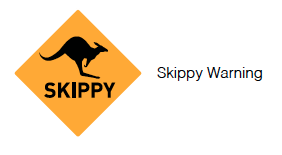 To flag this momentary break in your recording, a “Skippy” Kangaroo symbol will appear on the home screen. To remove touch Skippy and he will disappear ready for his next notification. When you restart the unit or enter playback mode, you will be presented with a menu that gives you the option to recover immediately, or recover it later.